Which Comic Book is Barry Sonnenfeld Bringing to the Big Screen??? Barry Sonnenfeld, the director of the ‘Men in Black’ films, has just announced that he is taking on another comic book series. He’s been a bit secret about it according to Vulture, but now the cat is out of the bag. Can you take a guess? It’s from DC Comics and first appeared in the 60’s in Showcase. Give up? Need more time? 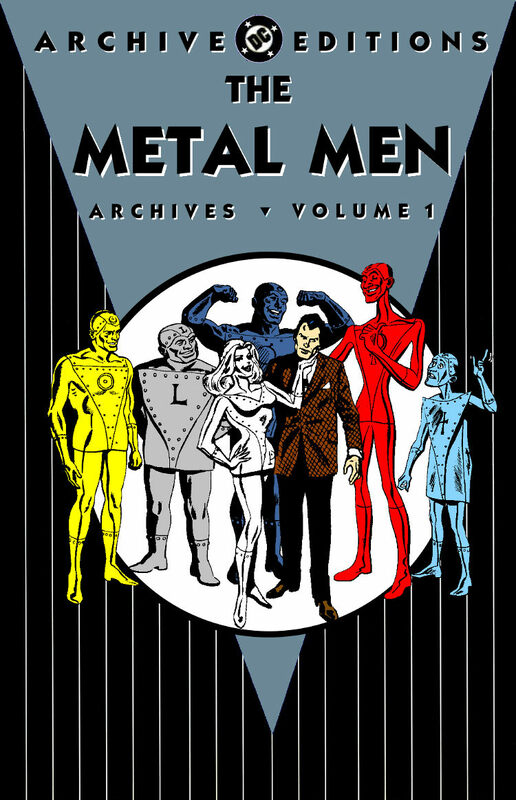 Sonnenfeld is set for ‘The Metal Men’ series. 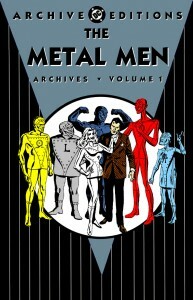 I would imagine, only a select few of you out there would know who The Metal Men are. Their story revolves around an A.I. expert named William Magnus who creates sic cyborgs made from one distinct chemical element with powers that reflect their element. There is Gold, Iron, Lead, Mercury, Platinum, and Tin. Gold could stretch his form almost infinitely, Iron was super strong, Lead could block harmful radiation by morphing into thick shields, Mercury could melt and pass through small spaces before reforming and Platinum could stretch or flatten. As for tin, well, I think he might just order pizza or something. But, I can see this being a lot of fun and being pretty epic. And just think of the action figures that will come of this. Looking forward to it. Your thoughts? Get Ready For A Dinosaurs VS. Aliens Film!!! The New Trailer For ‘Guardians of the Galaxy Vol. 2’ Is AMAZING!!! This entry was posted on Thursday, June 21st, 2012 at 2:49 pm	and is filed under Comics, Film, News. You can follow any responses to this entry through the RSS 2.0 feed. You can skip to the end and leave a response. Pinging is currently not allowed. « Watch the New ‘Judge Dredd’ Trailer!!! Remember, a Jedi's strength flows from the Force. But beware. Anger, fear, aggression. The dark side are they. Once you start down the dark path, forever will it dominate your destiny. Luke... Luke... do not... do not underestimate the powers of the Emperor or suffer your father's fate you will. Luke, when gone am I... the last of the Jedi will you be. Luke, the Force runs strong in your family. Pass on what you have learned, Luke. There is... another... Sky... walker.